Dr. Patrick Lacroix-Desmazes graduated in 1992 from the National School of Chemistry of Montpellier, France, and received a Master degree in Polymer Science from the University of Montpellier. He obtained his PhD degree in 1996 from the University Claude-Bernard Lyon I, under the supervision of Professor Alain Guyot in collaboration with Elf Atochem and in the frame of a European program on reactive surfactants, on the use of macromonomers as stabilizers in dispersion polymerization in polar media. After a postdoctoral research in 1997 on suspension polymerization with inorganic stabilizers at BP Chemicals in Wingles, he joined CNRS as a junior scientist working with Professor Bernard Boutevin. In 1999, he developed RITP, a promising method for controlled/living radical polymerization. He received his Habilitation Degree in 2004. He was awarded the 2004 Innovative Research ADER Award (Association for the development of Education and Research) in collaboration with Solvay. In 2009, he was distinguished as a researcher laureate from Languedoc-Roussillon and the same year he was promoted CNRS research director. Currently, he is the head of the team Engineering Macromolecular Architectures (IAM) at the Institute Charles Gerhardt in Montpellier. He is deputy president of the French Polymer Group association (GFP) and active member of the French Chemical Society (SCF). His research interests cover the mechanisms and kinetics of controlled radical polymerizations (photoiniferters, NMP, ATRP, RAFT, ITP, RITP), including in dispersed media (emulsion, dispersion, suspension polymerization), the self-assembly of polymers, the bottom-up elaboration of hybrid materials as well as the synthesis and use of polymers in liquid or supercritical carbon dioxide for the development of clean processes in unconventional media. When I was very young, my first wish was to become a novelist. Then, during my studies I became more and more interested by sciences and my dream was to become aerospace engineer or something related to the exploration of universe! But I was not brilliant enough in math to reach this goal. And, as I also appreciated chemistry and all the mystery about it from alchemy to modern chemistry, I found that becoming chemist could be a good way to satisfy my thirst for creation. Researcher in chemistry is a great job: I like it not only on a scientific point of view but also because it is an excellent way to make new friends all over the world and share our cultures. We have been working on double hydrophilic block copolymers (DHBC) since a few years and with some colleagues of our institute we have shown that such copolymers could be nicely used as structure-directing agents in the elaboration of hybrid mesoporous silica materials (paper here). In the present article, we wanted to detail the synthesis of such copolymers and to show how a platform of DHBC with different characteristics (cationic, anionic, pH- or T-stimuli responsive) could be efficiently produced. Many papers appear in the literature on this topic but quite few are giving and discussing the very details that make the synthesis more or less challenging, so we tried to emphasize on such details. Polymer Chemistry is a journal with a good audience and fast dissemination and the reviewing process is usually constructive. For this article, we really took our time to fully answer the comments of the referees. This journal is a leading one in chemistry and the editorial and production team is well organized. My next conference will probably be the 3rd International Symposium on Green Chemistry to be held in La Rochelle on May 3-7 2015. I will present our latest results on polymer-assisted clean processes in supercritical carbon dioxide. I like hiking in general and in the mountains when I have enough time, contemplating nature, far from the rushing modern life. I also enjoy swimming, running and biking with my 14 and 16 years old girls. 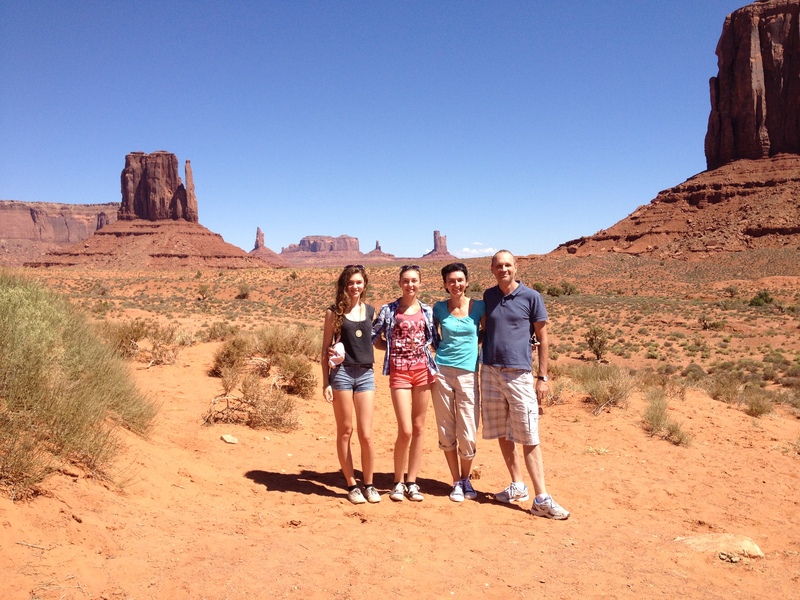 I love travelling and discovering new countries and share other cultures with my family. I think I would create a new type of job: itinerant teacher. Instead of the students coming to the teacher, the teacher would visit the students worldwide to share the knowledge and cultures. The syntheses of three poly(ethylene oxide)-based (PEO) double-hydrophilic block copolymers (DHBCs) of different second block nature (thermosensitive poly(N-isopropylacrylamide) (PNIPAM) block, anionic poly(vinylbenzyl phosphonic di-acid) block, and cationic poly(vinylbenzyl triethyl ammonium chloride) block) are described. The synthesis strategy depends on the synthesis of a single 5kD-PEO-based macro-chain transfer agent that is able to control the RAFT polymerizations of various functional monomers. Low molecular weights of the second block were targeted to obtain asymmetric structures for the DHBCs. Their ability to form micelles under appropriate conditions (specified temperature, pH and nature of the auxiliary of micellization) and the reversibility of the micellization process were checked. Finally, a nanostructured hybrid silica material was obtained using the PNIPAM-based copolymer as a structure-directing agent (SDA), which yielded well-organized mesoporous silica after template removal. 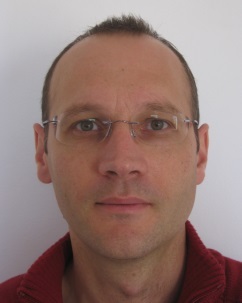 Cyrille Boyer is a guest web-writer for Polymer Chemistry. He is currently an associate professor and an ARC-Future Fellow in the School of Chemical Engineering, University of New South Wales (Australia) and deputy director of the Australian Centre for NanoMedicine.